Dejan Antic is crowned the 2015 Serbian Chess Champion after edging the last year Champion Aleksandar Indjic on tie-break. The two Grandmasters completed the event with 8,0/11 points each. In the final round Antic defeated the then co-leader GM Branko Damljanovic, pushing the legendary player down to the third place. Indjic won against Aleksandar Kovacevic, but narrowly missed the title. 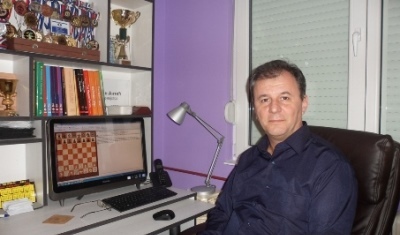 The 2015 Serbian Chess Championship was held from 18-30th April in Vrbas. The average elo of the 12-player lineup was 2476.